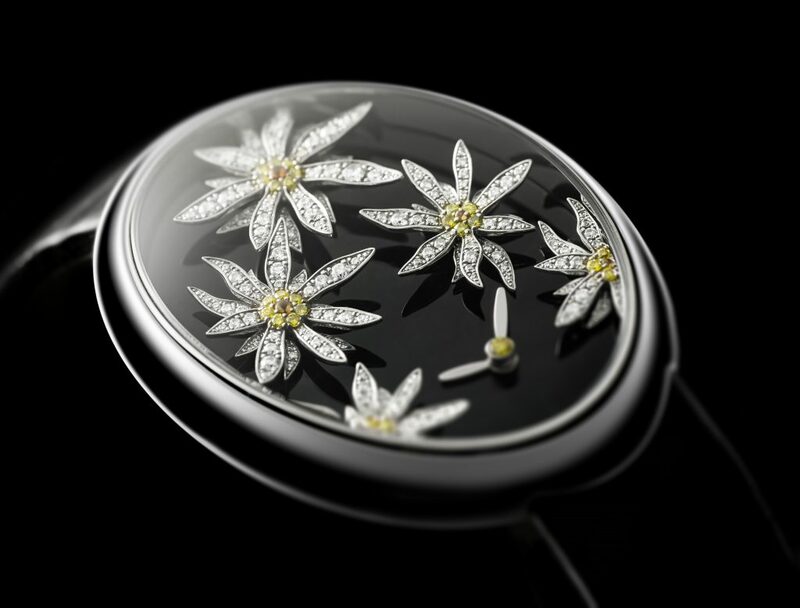 Discover the hidden mysteries of the night with “Edelblack” a sleek ladies’ timepiece that draws the fresh frosty Edelweiss flowers out from the twilight. Just like the stars of the night-sky the Edelweiss shines throughout the night, keeping our beloved’s promise safe while we sleep. 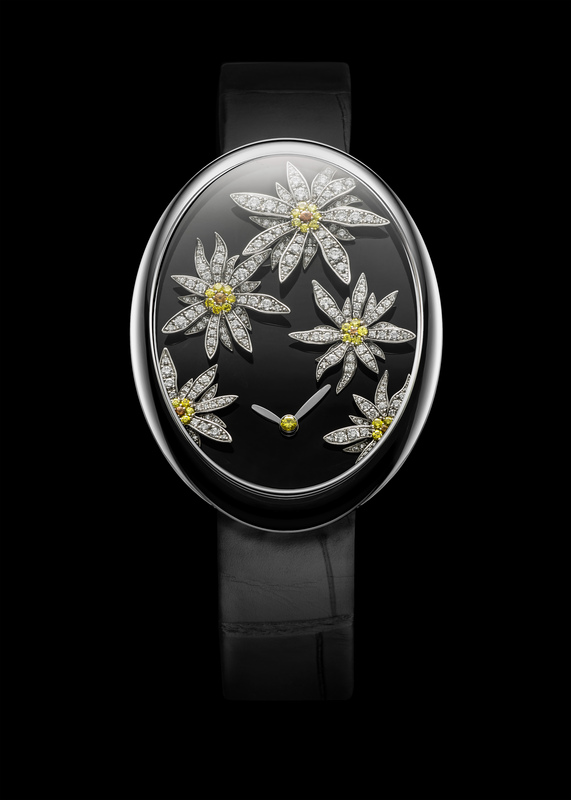 The beautiful petals with their layering of magnificently set white diamonds, yellow diamonds, and orange sapphires playfully illuminate the dusky miniature world. We would be delighted to help you make your unique watch come true. Experience our bespoke service.